I’ve never been mistaken for an expert practitioner of what we might call “balance,” but I believe it exists and that it is a quality to be desired for a healthy society and vibrant Christian community. My seldom and small glimpses of balance have convinced me that it is not only a desirable, but a beautiful quality. Some of the meanest people are those with a microphone, a pulpit, a platform, or a blog! Though they’re usually just aiming for shock value, their ugly rhetoric inflames people who don’t think for themselves, who just parrot the “pundits” and let them do their thinking for them. George Wallace, Adolf Hitler, and Vladimir Lenin were all stirring speechifiers. Its how some people feel good about themselves, get a crowd, and even make a living. They do a lot of labeling, a lot of painting with the broadest of brushes. “Those stupid liberals… Those right wing fanatics… Those ridiculous Pentecostals… Those half-witted Baptists…” You name it, they’ve got a label for it. There’s usually some trace of truth at the edges. But it seems to me that truth found in the extremes is usually in the most diluted concentrations. If you’re looking for extra-strength truth you should look around the center, as close to Jesus as you can get. It’s otherwise pretty freaky at the fringes. Anger and fear are perpetuated and inflamed by unremitting exposure to the edges. Listening only to one side of the story is a sure recipe for injustice. In a court of law, disallowing testimony from the either the defense or prosecution will end in a bad verdict. There is a group of people who meet weekly in a coffee shop near me for lively discussion about politics, the economy, and world events. This motley assemblage is made up of an atheist Jew, a Christian Palestinian pastor, a Christian Science church member, and an ultraliberal agnostic. When all my friends, books, news sources, and sermonizers stand on my side of the boat, my side is liable to sink. Genuinely hearing disparate opinions has the effect of evening our keel. Certainly we have the right to choose our friends and pick our preferences. We’re not all going to appreciate the same things. I like prose, but poetry, not so much. I don’t much like football, but I’m way into baseball. But I don’t claim that either poetry or football are evil in themselves. I just don’t like them much. I’m open to amending my feelings about them, but currently, neither of them appeals to me. But see, it’s just a matter of taste and the truth of the matter is that it has nothing to do with the matter of truth. It’s the imbalanced person who can’t seem to distinguish between taste and truth. He makes his personal preferences the standard of right from wrong. Let’s be clear, in our present state as tangled up sinners, perfect balance is not achievable. We’re always going to be adjusting and learning and compensating and praying for the center. A perfectly balanced life – full of both grace and truth in harmony – was only lived once. The rest of us routinely err on the side of grace or truth, but he displayed them both in equilibrium. 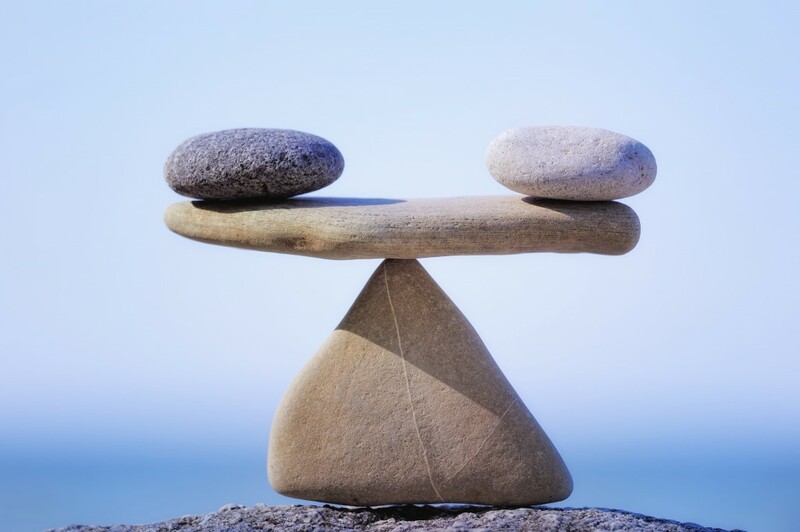 We might be able to achieve balance in one particular area, at least for a short while, but if we do, it’s inevitable that, at the same time we’ll be out of whack in another. Martin Luther, who rediscovered justification by faith apart of from works was anti-Semitic. Martin Luther King Jr, the great Christian hero of the civil rights movement had a mistress. The Confederate Army General and devoted Christian, Robert E. Lee, fought to protect the evil institution of slavery. Name any U.S. president, and you can cite ways he helped the country and hurt it at the same time. In their post-presidency memoirs, the best ones acknowledge their mistakes along with their accomplishments. Some of the most history-changing revival movements contained fatal flaws. Revivals are famous for getting lots of people converted and fired up, but they haven’t always been successful at developing a good theology or a sustainable rule of life for its converts. * The proof of that is the shelf life of every revival in Church history. No revival has ever lasted more than a generation or two until their flaws became fatal. *Our mistake has been to assume that, because the Spirit is moving and heaven is descending, the theology and methods that come out of a revival are sound. Some of the worst doctrine and discipleship practices have come out of revival movements.